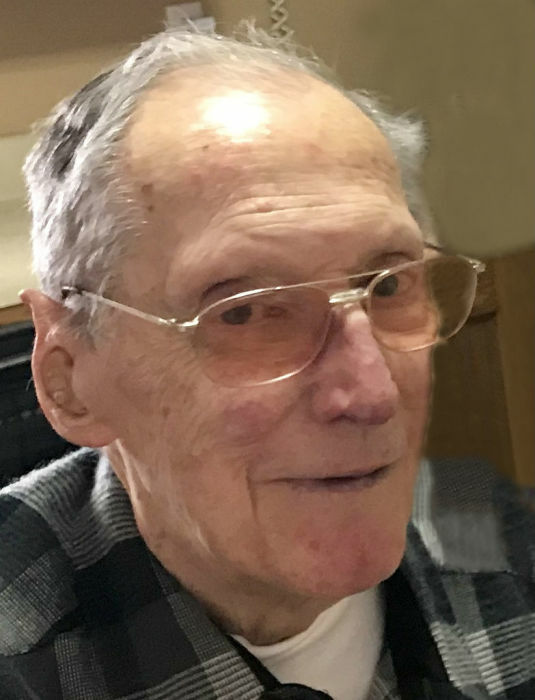 Glenn I. Williams of Escanaba, passed away Thursday, August 23, 2018 at Bellin Hospital in Green Bay, WI following hip replacement surgery. Glenn was born September 28, 1926 in Negaunee, MI to George and Olivia (Gregory) Williams. After graduating from high school in Newberry, MI in 1944, he proudly served in the U.S. Army during WWII. He worked in many areas of Westin’s General Store in Newberry, which was managed by his father. He was employed by the Michigan Department of Natural Resources first in Newberry and then in Escanaba for 37 years; retiring in 1987. Glenn loved music and sang in church choirs for the majority of his life where he performed with the Gospel Heirs and the Choral Society for several years. Nothing made him smile more broadly than children, especially babies. Above all else, he happily and faithfully served God and others. Glenn was a devoted husband to Leona (Huntley) Williams for 68 years. They were blessed with 5 children, Glenys (Rick) Hull of Sioux Falls, SD, Stephen (Judy) Williams of Powers, MI, Terri (Gerald) Branstrom of Gladstone, Scott (Jean) Williams of Stillwater, MN, and Dana Williams of Escanaba. He is also survived by 11 grandchildren; 23 great grandchildren; and 3 brothers, Walter Williams of Traverse City, MI, Alan (Marie) Williams of Lakeview, MI, and Paul (Eileen) Williams of Engadine, MI. Glenn’s parents preceded him in death. Visitation will be held from 2:00 p.m. to 4:00 p.m., Tuesday, August 28, 2018 at Central United Methodist Church in Escanaba. Funeral services celebrating the life of Glenn will follow at 4:00 p.m., Tuesday, at Central United Methodist Church with Rev. Elise Low Edwardson officiating. A luncheon will be served afterward in the church fellowship hall. Burial will take place in Gardens of Rest Cemetery.